Stroke Length Practice: First Improve. Then Maintain. I’m reprinting verbatim a comment-and-reply from Olympic Champions are Terrestrial Mammals Too because the question posed is of universal interest. Marjorie asked: How do you increase stroke length? I have the TI Self-Coached Workshop DVD and I was able to decrease from 30 to 24 spl in the last 7 months but when I get to my last laps in my 1500 my spl is 27. My goal is 20. These are in a 25 yd pool. Marjorie’s question identifies two separate aspects of how we increase efficiency: (1) Improving Stroke Length — in her case from 24 to 20 SPL; and (2) Maintaining Stroke Length – in her case to eventually be able to swim 1500 yds @ 20 SPL. They’re equal in importance, but accomplished in different ways. 1. A primary focus on Balance and Streamline. This can be in either drills or whole-stroke, and often combinations such as 25 Drill 25 Swim, or 25 Drill 50 Swim. 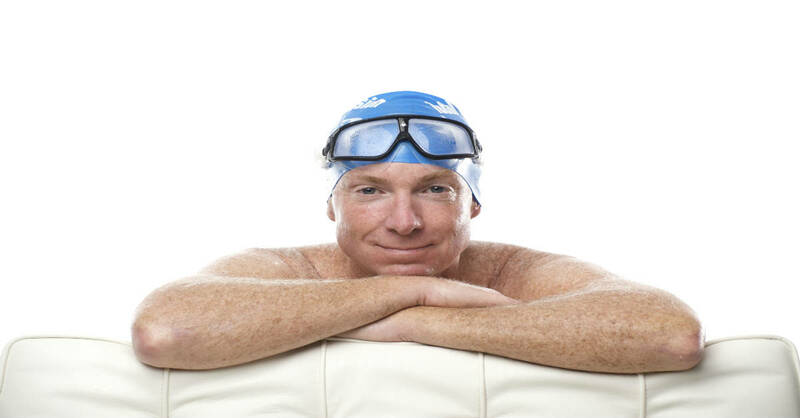 Whole-stroke laps will most often focus mainly on swimming with a particular Stroke Thought, and testing whether that Stroke Thought results in a lower count. 2. 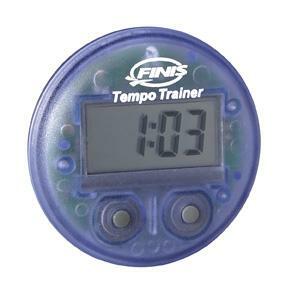 Using a Tempo Trainer at lower rates — most often 1.3 sec/stroke or slower. This kind of training changes your movement pattern to reduce (1) drag and turbulence caused by how your body moves through the water or how you move arms and legs; and (2) slippage in your stroke. Your goal is to learn to move through the water, rather than move it around. [4 x 25 + 3 x 50 + 2 x 75 + 1 x 100] in which my sole focus is to establish an efficient count/pattern on the 25s and test my ability to complete the set while minimizing any increase in count. If I see the count increase when I get to 75s, I would then drop back to the 50s until I strengthen the ‘neural circuit’ for the count I’m focused on holding. I also do this quite often with Tempo Trainer — I.E. Do the above set with TT set at 1.30 seconds/stroke. If I can maintain my starting SPL to the longest repeat, I might repeat the set at, say, 1.28 sec/stroke. I’m focused on looking for the distance at which my efficient pattern breaks down. Once I find it I’ll do as many repeats as necessary at the level where I can – with keen focus – maintain efficiency. In Marjorie’s case it would mean NOT swimming a 1500 if her SPL rises to 27 SPL as she goes. It could perhaps mean continuing to swim so long as SPL is 24, then rest for perhaps 10 seconds after any lap of 25 SPL. Over time, her goal would be to complete the 1500 with fewer — eventually NONE — of those 10-sec breaks. I often combine the two types of practice. Last October, while visiting Hong Kong I practiced in the 50m pool at Univ of HK. I hadn’t been in a 50m pool in quite a few months. My plan was to start with some easy 200m repeats. Last summer I would have easily maintained 38 SPL on those repeats. This day I started at 39, then saw my SPL increase to 40, 41 and 42 on the next three laps. I tried again and the same thing happened. So I threw out the plan for 200m repeats and dropped to 50m repeats, focused on two Stroke Thoughts: (1) Hang my head until it felt weightless; and (2) Separate water molecules and reach an inch or two farther with my extending hand. That got my SPL down to 39, then 38, then 37, within 400m of 50m repeats. Then I did several 100m repeats to test whether I could keep them at a stroke count of 38+39. When I succeeded, I tried some 150 repeats with the same goal. When that worked, I finally resumed doing 200m repeats, and was able to keep my SPL below 40. If I’d had a Tempo Trainer with me that day I could have substituted that for the Stroke Thoughts on the Improve Stroke Length part of this process. Most likely I’d have started at 1.2 sec/stroke and gradually slowed tempo to, say, 1.25, 1.30, 1.35 until I hit the tempo that gave me an SPL of 36 or 37, then done the increasing-distance set at that tempo. The point is to commit to practicing efficiency and make all your choices about set design subject to that goal. It’s organic, not formulaic. Great post Mr Laughlin, I found many answers for my problems, thank you very very much. Happy Easter! Excellent post Terry! Thanks for the insights. In segment 7 on youtube, you give a chart of height vs SPL target range for a 25 yd pool. Is there an equivalent chart for a 50m pool? We could create such a chart, but we’d need to do some experimentation and extrapolation to do so. The 25-yd chart was created empirically, with a bit of extrapolation at the shortest and tallest heights. In a 50m pool, your range would expand from 4 counts to 6 to 8. My typical practice range is six counts — 36-41. But that would be setting the bar pretty high, so I think 38-43 would be more reasonable for most 6-footers. Using the 25-yd chart as a guide can you extrapolate from that to your height? And if you do, how does that correlate with experience? These are all typical questions and good ones. The best place to post them is on the TI Discussion Forum. Probably in the Freestyle conference. The reason I ask is that I swim 1/2 the year in a 25m pool and 1/2 the year in a 50m pool and want a way of converting SPL in the two pools. My working hypothesis is that at a fixed tempo the conversion should SPL50 = 2*SPL25+”extra”, where extra accounts for the missing pushoff the wall during the 50. From the two endpoints of your data, it seems that the “extra” is 9-10. Here are my data points (so far I’ve only used the tempo trainer at slow paces like 1.3 and 1.2). These are both based upon 100’s on 2:00. I am 5’7″. The “extra” here is 7. My extra is greater because my conversion is from 25y, not 25m. The ‘extra’ needs to account for the strokes saved by the turn and pushoff. That distance should be 5m or perhaps a bit more, so if you multiply your 25m count by 2.2 you should be fairly close. Your 25m counts seem unusually low for someone 5’7″ however. If we take into account 50m/25yd = 2.2, then SPL50m = 2.2*SPL50yd+extra, and the extra from your data is 6-7, so it seems that our “extra” estimates agree. My SPL seems low probably because I usually don’t take my first pull back until beep 5 off the wall, so my hand first enters on beep 6. Thus, for 50m, total beep count from wall to wall (including 5 for push off and 1 for flip turn) is actually 39 for tempo=1.3. This gives (2*39*1.3) = 1’41” per 100m, which agrees with my stopwatch. This confusion is one reason I’ve started to count total beeps per lap, rather than strokes. Based on the formula SPL50m = 2.2*SPL25yd+7, we get the following guesstimate of the equivalent of your recommended stroke range chart for a 50m pool. Caveat here is that it is based on only four data poitns. Would be interesting to see how this matches with other people’s experience. That looks good as achievable, but meaningful efficiency targets for those height ranges.